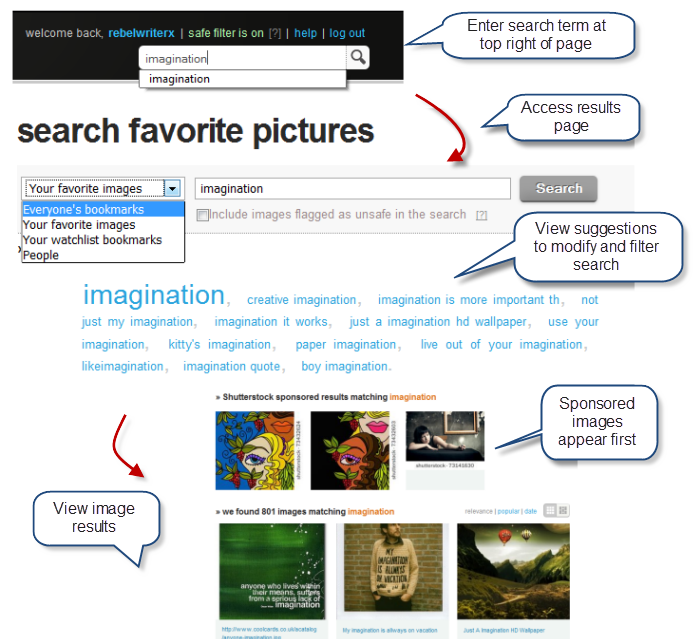 This entry was posted in elearning, elearning tools, instructional design approaches, Personal knowledge management: searches, personal learning environment, PLN, social bookmarking and tagged asset management, bookmarking images, bookmarking tool, curation, e-learning tools, elearning tools, filtering information, Firefox addon, license images, personal knowledge management, personal learning environment, PKM, PLENK, PLN, social bookmarking, tagging images, visualizeUs, web 2.0, web2.0. Bookmark the permalink. 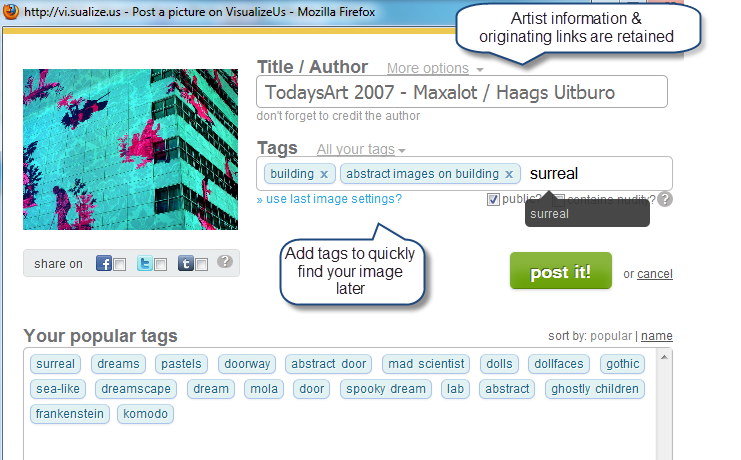 Hey i am searching for Image Bookmarking sites. i found you interesting. 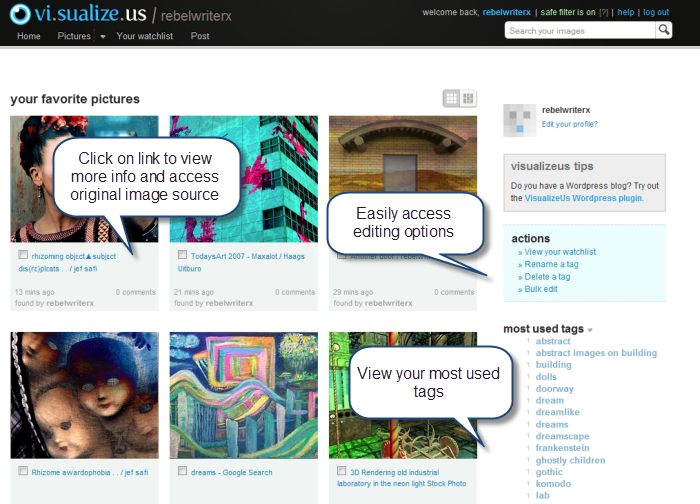 Thank you much for providing screen shot for easy to use of Image Bookmarking in Vi.sualize.us. I found it very useful and perfact.